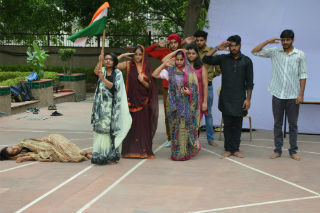 JIMS patriotic club, in its ongoing journey to celebrate several events related to Independence day celebrations, organized a Nukkad Natak at the centre stage in the premises of JIMS on 12th August, 2016. 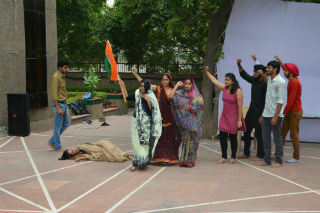 The theme of the Nukkad natak was based on the Kakori Train dacoity. 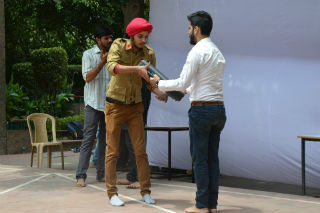 Students from BBA & BCA had worked hard to put up a brilliant performance which was greatly appreciated by large audience comprising of several faculty members and students. 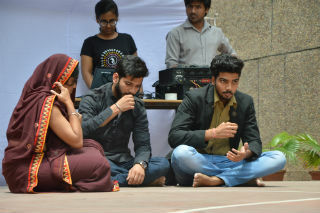 The end of the event was marked by singing of National Anthem by the players of the Nukkad Natak. 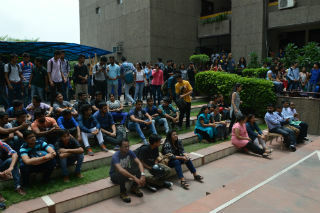 As a mark of respect to the National Anthem, the audience too joined the group and sang the National Anthem concomitantly with everyone present on the occasion. As a part of Independence celebrations, JIMS patriotic club, organized a Kite Flying competition on 12th August, 2016. 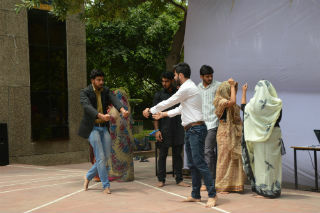 The event got off to a great start as the students were seen flying kites of several hues and colors. 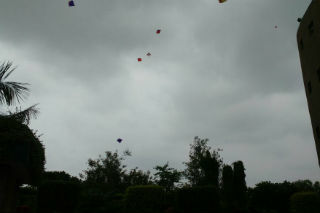 However, due to inclement weather resulting in slight drizzle the kite flying event came to an abrupt end.